“My guided reading fantasy is that my whole class falls into nice, neat groups of four to six kids at the same reading level,” sighed Brianne as we looked over her data. The data included the beginning-of-the-year assessment results, the children’s writing folders, a few informal running records, and Brianne’s anecdotal notes. Our goal for the meeting was to form the initial guided reading groups of the year. As Brianne suspected and even expected, there were about four “outliers”—kids who did not fit neatly into any group. The bad news is that the outliers will always be there. Teaching is a messy business. Kids come to school with a range of abilities, competencies, and experiences. It is truly a fantasy that any class would ever fall into nice, neat groups of four to six kids who read at the same level. Even if that miracle did occur, three or four outliers would likely pop up within a couple of weeks or so. One child would suddenly take off and soar a level or two, and another one would get bogged down and fall behind. One of the tenets of guided reading is dynamic grouping. Groups are not stagnant; they evolve as readers develop. The good news is that there are effective ways to support those kids who don’t really seem to fit in any group. A multilevel text is one in which the content is presented at two or more reading levels. Some publishers offer different editions of texts written at various reading levels. Other publishers present the different reading levels within the same book. The procedure for using a multilevel text is the same as for a single-level text. Teach and model a strategy, do a book introduction, provide a purpose for reading, listen in and coach individual students, and bring the kids back together for post-reading activities. There are a variety of multilevel texts available. Reading A-Z and KinderReaders offer printable “books” at three text levels. Reading A-Z has multilevel texts available from text levels E through Z. KinderReaders features materials suitable for emergent and early-level readers. Both publishers have narrative and informational texts available and offer free samples. These materials have been criticized for their quality and the workload required for printing and assembling the books. Their biggest upside is their easy availability. Reading A-Z (but not KinderReaders) also offers their texts in a digital format called Raz-Kids, which saves the work of printing and assembly. However, the printable and digital formats are marketed as distinct products that can be purchased separately. National Geographic offers a set of multilevel texts in a program called Ladders. 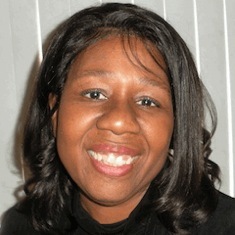 Stephanie Harvey is one of the contributing authors. Ladders features graphic novels, informational texts, and literature suitable for kids capable of reading at text levels M through T. Each title is available at three text levels. These materials feature high-quality photographs and illustrations. The topics have “kid appeal,” and most of them are well aligned with many schools’ curricula. The texts are available in paperback or digital format and come with teachers’ editions for those who want that extra support. Newslea is an online digital collection of news stories available at text levels suitable for readers in grades 2 through 12. The stories originally appeared in high-profile publications such as The New York Times, The Washington Post, and Time. The topics for these stories include war and peace, science, kids, money, law, health, arts, and sports. 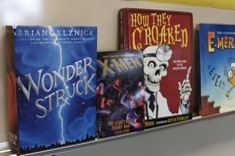 Newslea also has text sets of articles to accompany favorite novels used in the middle grades and middle school, including Inkheart, The Giver, The Lightning Thief, Wonder, and Charlie and the Chocolate Factory. In addition, the site offers organizing tools that enable teachers to keep track of what kids are reading and their written responses to what they’ve read. There are also multilevel trade books. Take advantage of the opportunity to use trade books whenever possible. Readers are hooked through “real books.” Unlike the multilevel texts written for instructional purposes, trade books present multiple levels in a single book. Many of Steve Jenkins’s books are multilevel. In Biggest Strongest Fastest, readers have the option of reading a single sentence on a page or a more in-depth and detailed paragraph. Reaching Readers by Michael Ford features a nice, long list of multilevel trade books in the appendix. This book also offers some grouping strategies. Every experienced teacher knows that a child’s ability to read a book is strongly connected to the child’s interest in the topic. I have witnessed boys who struggle to read Stone Fox, yet absolutely devour Matt Christopher books. I’ve also seen very capable readers with simple picture books in their book baggies. Through interest inventories, conferences, journal entries, and eavesdropping (also known as kidwatching), find out about your students’ interests. Then go out and get books that they are sure to love. The level of the book becomes less important when the readers bring loads of background knowledge to the reading task. Convene interest groups and get those outliers involved. Instead of guided reading, engage a group of students—including an outlier or two—in a shared reading experience. Make use of a predictable book, poetry, passages from a verse novel, readers’ theater scripts, or informational articles. Give all of the group members a copy of the text. Read aloud to the group and then engage the students. Each group member will participate at his or her level of competence. For more information on conducting shared reading lessons with younger students, check out Read It Again: Revisiting Shared Reading by Brenda Parkes. For older kids, a good resource is Yellow Brick Roads: Shared and Guided Paths to Independent Reading by Janet Allen. I once worked with a kindergarten teacher who had a serious outlier. The outlier was a little girl who enjoyed reading the Little House books, Ramona books, and American Girls books. The teacher would occasionally have her sit in on a guided reading session with one of the higher-level groups in the class. This can work in guided reading because all the students read the entire book—no round robin reading. The outlier always enjoyed reading with her peers but was happy to get back to her own book. I suggested that the teacher allocate slightly more time to her reading conferences with the girl and/or conduct them somewhat more frequently. Even though she was an accomplished reader, she was only five years old and still had reading lessons to learn. For outliers who are reading at or above expected levels, reading conferences are a good venue for individualized lessons, so extra or extended reading conferences represent an effective option for providing them. On the other hand, children who are struggling need focused instruction every day. Keep in mind that guided reading is just one of the components of the reading program. Read-aloud, reading minilessons, and especially, independent reading significantly contribute to students’ development as readers. 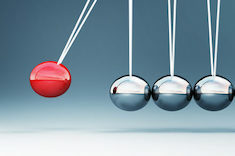 Sometimes the pendulum swings so hard in education that it’s hard not to feel whiplash. Shari Frost considers critiques of strategy instruction, analyzing what’s valid and what’s not in attacks on the flurry of post-its in classrooms. Shari Frost asks a provocative question: Can books harm children? She explores practical ways for teachers to walk the fine line between support and censorship in matching books to students. Picture Books or Beginning Readers? Many beloved characters from picture books are showing up in beginning readers, and in the process can lose a lot of their appeal. Shari Frost provides teachers with criteria for choosing between picture books or beginning readers. 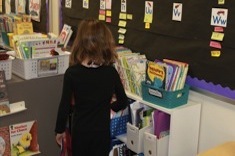 Beth Lawson explains how she sets up book clubs in her 3rd grade classroom.